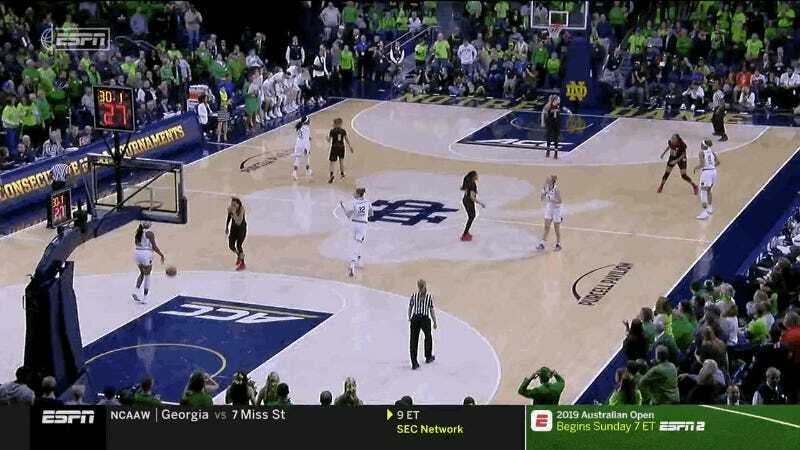 Either Notre Dame’s Brianna Turner slipped or she’s a shameless flopper, but regardless of how she ended up on the floor, Louisville forward Bionca Dunham shouldn’t have been hit with a flagrant-1 for simply playing defense here. 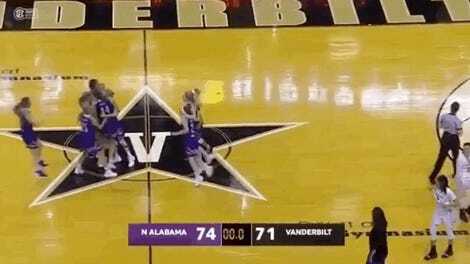 As the Louisville Courier-Journal’s Tim Sullivan pointed out, that wasn’t the only reason the Cardinals took their first loss of the season: They were out-rebounded 48-32 and shot horrendously from three (4-for-20). It’s just difficult to figure out what was excessive about Dunham’s contact on Turner there, and how it warranted two shots and the ball.